In 742 AD (the first year of Tianbao’s reign in the Tang Dynasty), at Japanese monks’ invitation, eminent monk Jianzhen took sea-voyage eastward to Japan for six times successively, through innumerable trials and hardships, he finally reached Japan in 754 AD. Among his companions, there were people having knowledge in art, medicine, and skillful craftsmen. He brought a large number of books and cultural objects to Japan, and painstakingly propagated the cultural achievements of the Dang Dynasty. Up to this day, the altar lamps in Daming Temple in Yangzhou, China and Toshodai Temple in Japan reflect with each other with warm and peace light in distance. 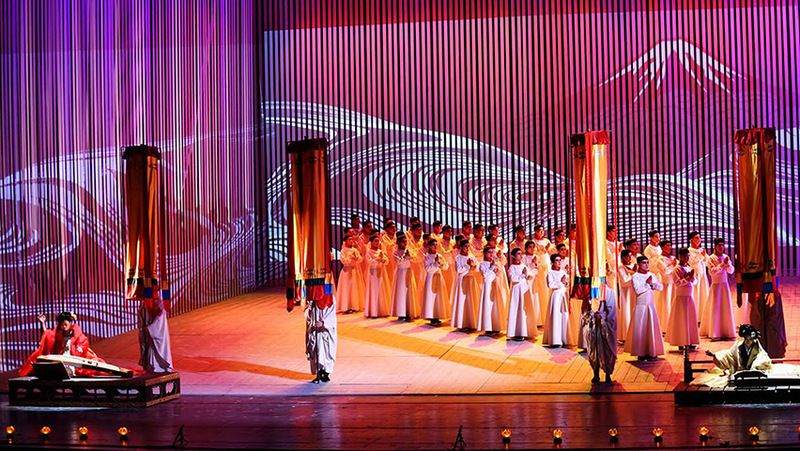 No user commented in " Jiangsu Performing Arts – Voyage To The East "